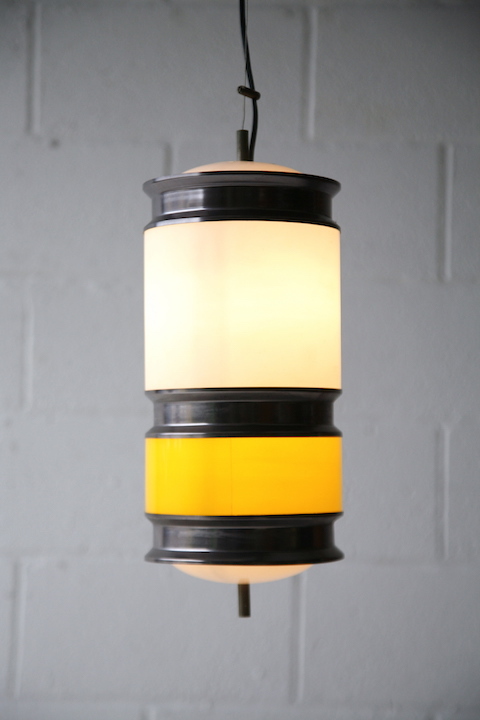 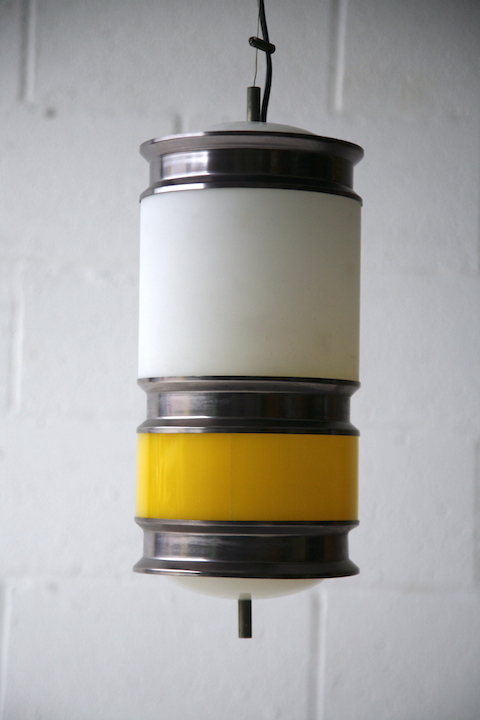 An unusual 1960s ceiling light. 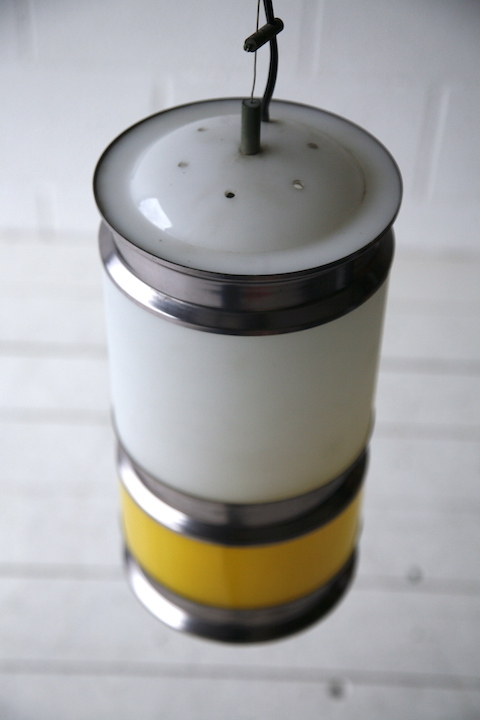 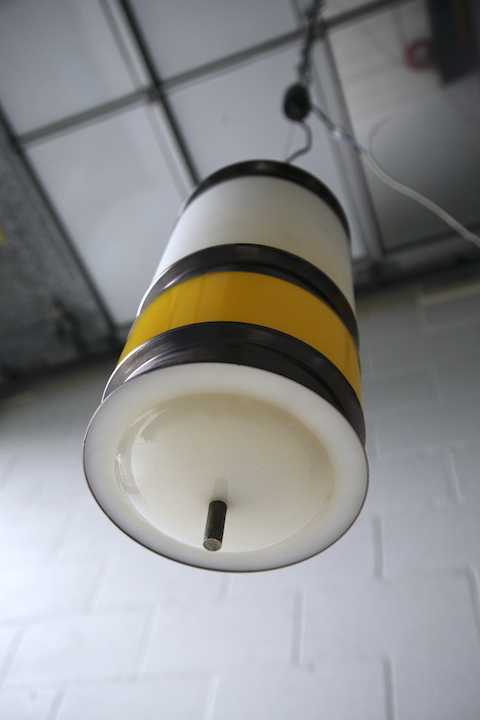 With a yellow plastic section, white glass section and aluminium rings. 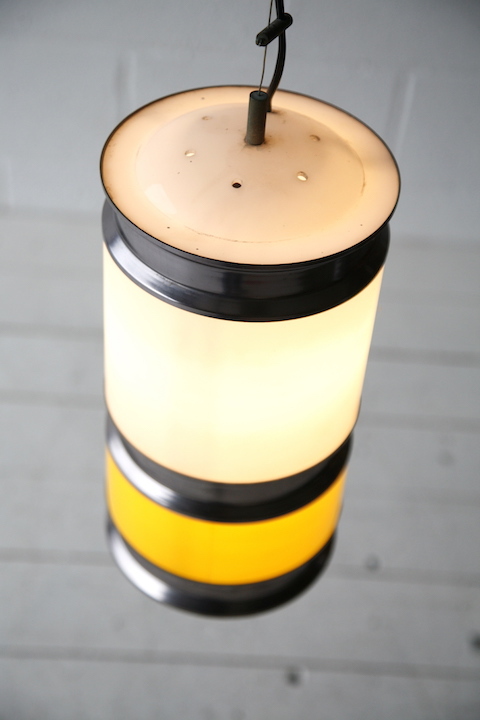 Fully working and in very good vintage condition with some light age related wear.